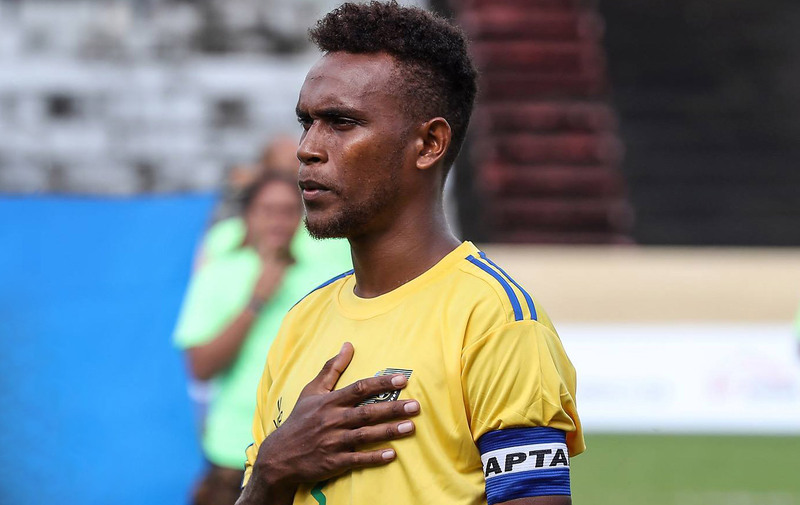 Solomon Islands U-19 captain John Aeta insists the team are determined to finish top of the group heading into the final group game against Vanuatu. Aeta has been a rock in the Solomon Islands defence during their back-to-back wins over New Caledonia and Fiji. The Melanesians are leading Group B of the OFC U-19 Championship with six points and could seal top spot with at least a draw against their Melanesian brothers. Speaking about the game with Vanuatu, the Solomon Islands captain said his boys wouldn’t be resting on their laurels since there is more work to do. “We have to win or draw to make us secure our place in the semi-finals, to get the first spot of the pool and to meet Tahiti or whoever become runners-up in Group A,” Aeta said. The side put in two strong opening performances to earn their hard-fought wins. They conceded two penalties in the 3-2 win over New Caledonia and had to dig deep late in the game against Fiji to secure a narrow 1-0 victory. The skipper admitted that his team still needs to improve and iron out their mistakes as the tournament enters its most crucial stages. “So far so good, but we did lots of mistakes if we have a look back on the two previous games,” he explained. Aeta was also the captain for the Solomon Islands U-17 side that was knocked out in the semi-final last year, also in Tahiti. A 3-2 defeat at the hands of New Caledonia at Stade Mahina saw the football mad nation forced to wait once more for their dream of a debut appearance on the world stage to come to fruition. Five members of that ill-fated U-17 team are part of the current U-19 team and Aeta stressed they are all determined to go one step better this time around. “We’re looking forward to that game, our target is to make an improved performance from the previous U-17 to push ahead from that and learn from that experience where we lost in the semi-final.